The Legendary Rolling Stones require no introduction-their musical legacy speaking volumes ahead of my mere words. Truth is though I have never been much of a fan – I generally feel that the majority of their songs have been overplayed and heard that often that they generate apathy and general disinterest by me. However, this summer at yet another Uk series of stadium shows I decided to actually go along and witness the band live for the first time – rumors circulating that it actually would be their final tour ever!! The venue would be at the huge Old Trafford, a venue more generally suited to footballers’ egos than that of some geriatric rock n rollers. 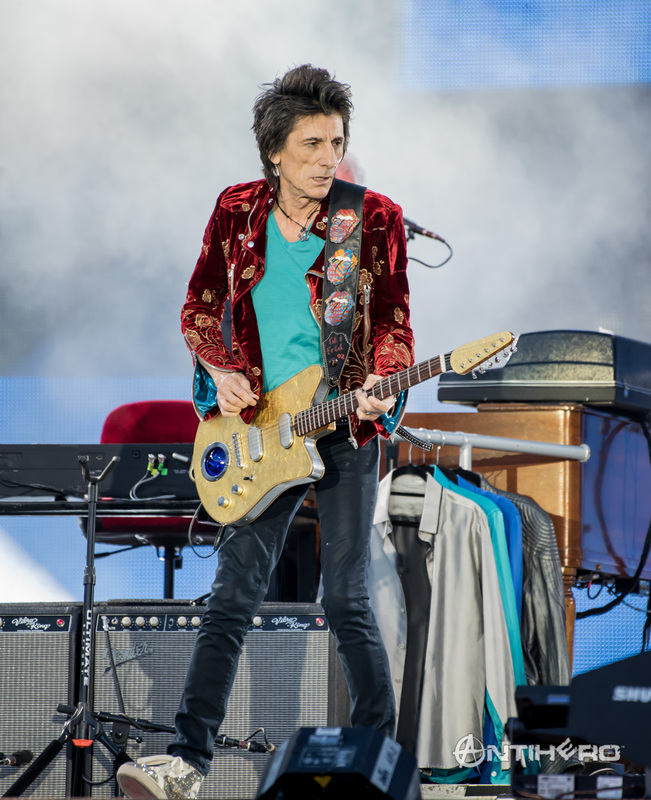 Now into their 56th year of existing as a band, one thing about a Stones set given that they seem rigidly set in stone from tour to tour that everyone will be familiar with at least 98% of it. Opening without any aplomb, the band arrived bang on time and kicked into “Street Fighting Man”. Unfortunately, slight sound issues rendered Mick Jagger’s vocals largely indecipherable for the opening half of the song. The bands combined youthful energy and vigour belied the advancing years as they seem to have overindulged on energy drinks and pro-plus in their pre-concert indulgences. Quickly following up this “It’s Only Rock n Roll (But I Like It)”, kept the energy levels at maximum levels. The band adopted a slightly different interpretation to this evergreen standard with the guitars of Wood and Richards playing in a lazy blues-based style. While everyone always talks about the legendary Richards, it was actually the soloing and lead play of Woods that caught my own particular ears. Hit and anthem followed with “Paint it Black”, which the band delivered as enthusiastically as when they first performed it all those years ago. One thing that I noted that the Rolling Stones managed to convey was a natural enthusiasm for playing all those classics that they must have played so so many times over the years. A brief rest period offered Jagger the opportunity to reminisce and share some stories of the band’s previous visits and shows in Manchester in their early days. This then led into a stripped down and semi-acoustic set breather which allowed Jagger to rest for a while as Keith Richards took center stage on vocals for a few songs. Unfortunately, for many of the audience members, they used this time to head for the toilets and bar queues. The band then again cranked up the power chords with “Honky Tonk Women”. “Start Me Up”, “Jumpin’ Jack Flash”, and “Brown Sugar” which drew the main set to a close by 10.05pm, but of course, the inevitable encore brought the band back on stage just a few minutes later. 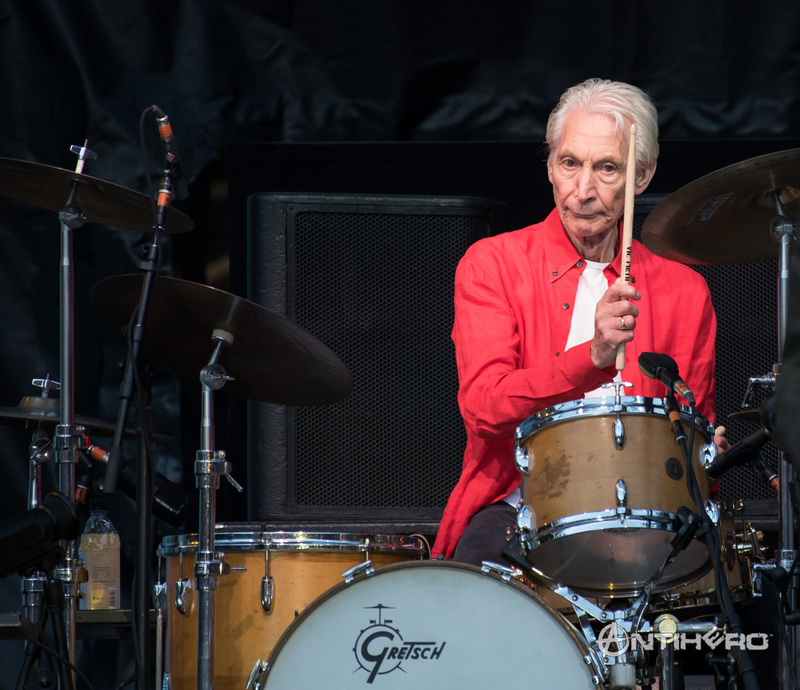 Set closer “Satisfaction” delivered exactly that in spades just as the musical legends have been doing throughout most of their musical history. I came away converted and full of a feeling of respect for the band which I previously had not held. Having elevated in my appreciation not just for the individuals advanced years but also in terms of their musical abilities and accomplishments. In an age where we seem to be regularly losing more and more icons of music I feel it is important to seize opportunities like this while we can. Indeed, the tour is named No Filter, and without a filter is exactly how the masses like it, undiluted just pure delivered rock and roll, and we definitely like it.